Andrew: Hello dear readers! Sorry that we have yet to get our review of The Lego Movie posted yet, been a little busy moving into our new apartment and getting it all set up. But while we've been a little busy to post that, we wanted to make sure we took the time this week for our annual analysis and predictions for the Academy Awards! The 86th Academy Awards are this upcoming Sunday, March 2nd, and we're a little behind on our prognosticating. Because of that we're going to shake up the order that we discuss/predict the categories. So we're taking a page straight from the Academy of Motion Pictures and Sciences and kicking things off with the Best Supporting Actor and Best Supporting Actress categories! Not unlike last year, one of these categories seems like more of a sure thing than the other. Let's get to it. Okay Sarah, on its face this seems like it should be a very competitive category, but it doesn't seem like it's actually going to be does it? Sarah: So here's the thing. While I think that as a whole it does look competative, it really only comes down to two actors; Bradley Cooper and Michael Fassbender. The entire group did a really amazing job but those two in particular really showed their chops this year. Cooper does an amazing job at playing this man who really gets in over his head with the seedy side of money laundering. And then you have Fassbender, who is the definition of pure evil. We have seen him as an actor go to some really dark places, but he takes his plantation owner character to a whole new level. And for that, I really think the Oscar goes to him. A: I'm honestly a little surprised that you tossed Cooper's name into contention here. Of all the nominees I think he actually has the worst shot of actually winning. In my eyes it comes down to thinking with the heart and thinking with the head. My heart says that - as you said - Fassbender personified evil in his role as a horrific slave owner. But my head tells me that it's Jared Leto's award to lose because he's already won the Golden Globe and, more importantly, the SAG award for his role as an HIV-positive transgender woman. And I say the SAG might be the most important because the acting branch of voters is the largest bloc in the Academy. We literally just watched Dallas Buyers Club for the first time last night, and I know neither of us were particularly wowed by Leto's performance, but do you really think Fassbender or even Cooper will overtake him? S: I do! And while I think that Leto did a fine job, I think the Academy is a different set of judges. They look for different things in a character. So for that reason, I think that Cooper has a better chance of being one of the top contenders. But I am still going to give it to Fassbender. His charisma and magnetism on the screen was incredible and just made you wince every time he was on screen. A: I think if there's one thing that can derail Leto from winning the statuette is the possibility that people look at his performance and see it as somewhat shallow. I'm not saying I think that, but I can see if others do. I'm in agreement with you in that I think Fassbender SHOULD win the award, but I'm going to predict a win for Leto. Okay Sarah, of the two supporting categories this is the one that is a bit of a toss-up. I'd say it's actually pretty easy to write off Hawkins, Roberts and Squibb, so I'm narrowing it down to newcomer Nyong'o for her heart-breaking portrayal of a slave victimized by her horrible owner, and Lawrence for a funny yet acidic performance as a New York housewife who meddles with her criminal husband's affairs. What are your thoughts on this category? S: I really think that this is the tougher of the two categories! Call me weird but I think the women in this category had such strong performances that they outrank the men. I really think you've nailed it on the head with Lawrence and Nyong'o. But here's the thing…is the Academy going to give the win to such a newcomer? I think that Nyong'o deserves to win but at the same time, Lawrence is such America's darling right now. And don't get me wrong, Lawrence does a fantastic job! She really puts her heart and soul into her characters, but Nyong'o was heartbreaking. We've seen crazy from Lawrence before. So while I think Nyong'o should win, I think Lawrence will win. A: I think you bring up a valid concern for Nyong'o. Every year it seems like there's an actress who gets a supporting nomination for their big breakthrough role (in recent memory: Melissa McCarthy for Bridesmaids, Hailee Steinfeld for True Grit, Anna Kendrick for Up in the Air, etc.) and this year that actress is Nyong'o. And it's really hit or miss for those kinds of nominees because a lot of voters and non-voters think "The nomination is enough." But Nyong'o was a true revelation in 12 Years a Slave. While she had her big emotional scenes the one that stuck with me was a scene were she was simply making some dolls from straw. That's how good she was. You also brought up the point that Jennifer Lawrence is currently America's Sweetheart. Everyone loves her. We love her. She's great in American Hustle (just like she's great in pretty much everything she's in) - she's funny, she's scary, she's sad. While her East Coast accent was hit or miss she was still my favorite character in the film and I think she totally deserves to win. So it wouldn't surprise me at all if she took home her 2nd Oscar in as many years. But I do think JLaw might have a bit of a backlash going against her from voters BECAUSE she's been such the lovable young actress these past few years. She's only 23 years old, she won Best Actress last year for Silver Linings Playbook, and this is already her THIRD Oscar nomination. It's not beyond belief that voters would give their votes elsewhere because Lawrence just won last year. Because of that, while I think Lawrence should win, I think Nyong'o will win. S: Okay readers! 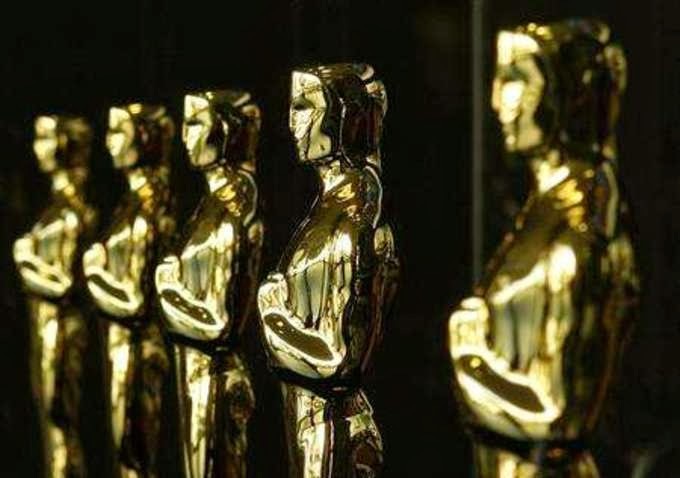 That's it for our first installment of our Oscar predictions this week! Listed below is a schedule of our upcoming schedule for our predictions and analysis, so make sure you come back each day for those!